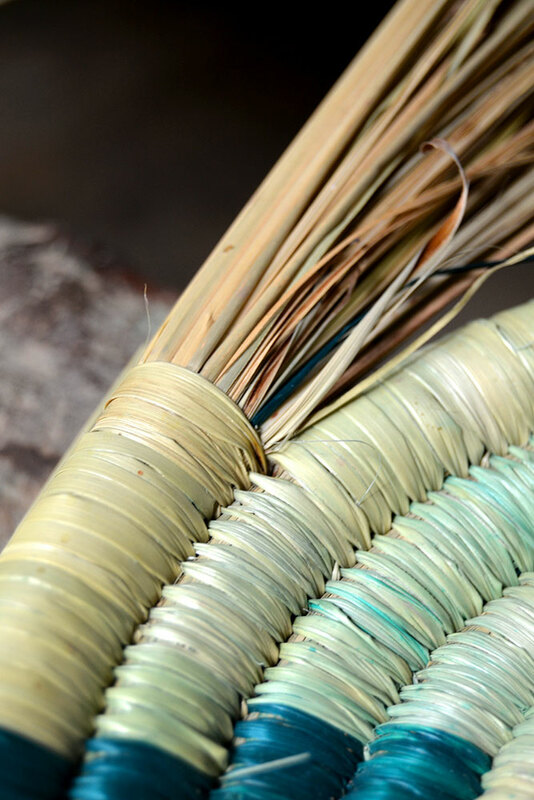 Tall wild grass growing along canals and ponds in the village is torn apart and used as the raw material for these baskets. 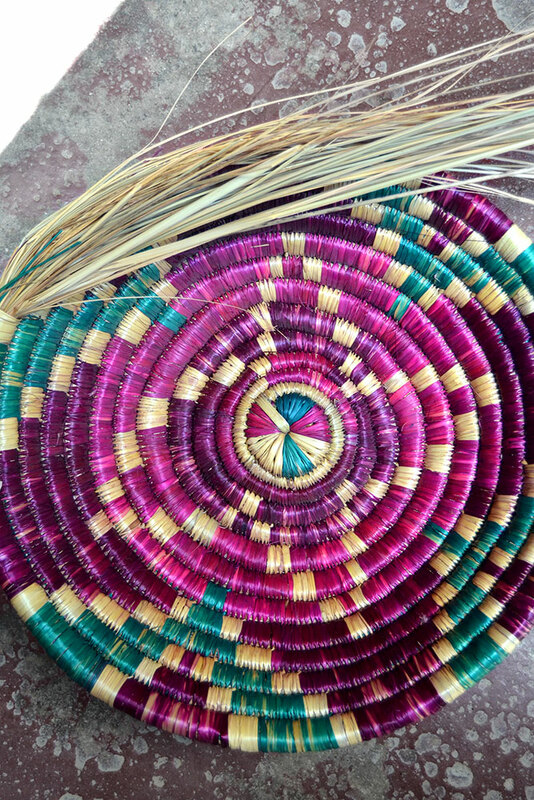 Locally it is referred to as moonja/ chirwa/ pharra. 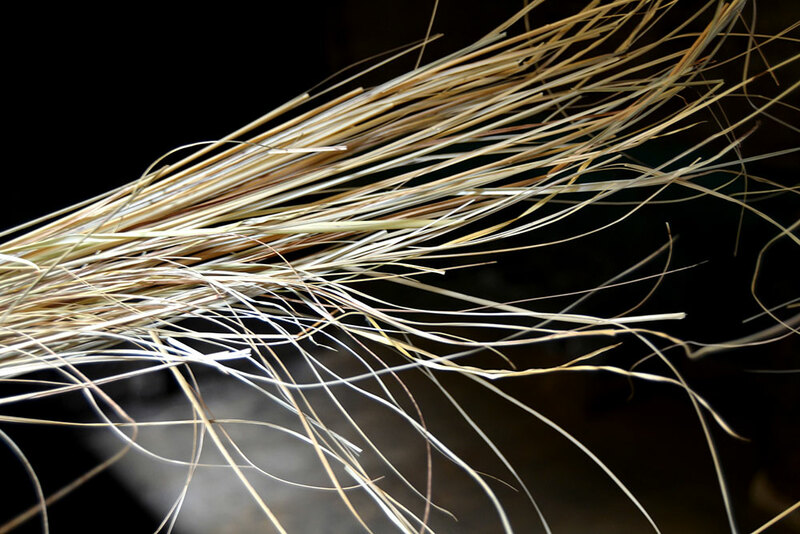 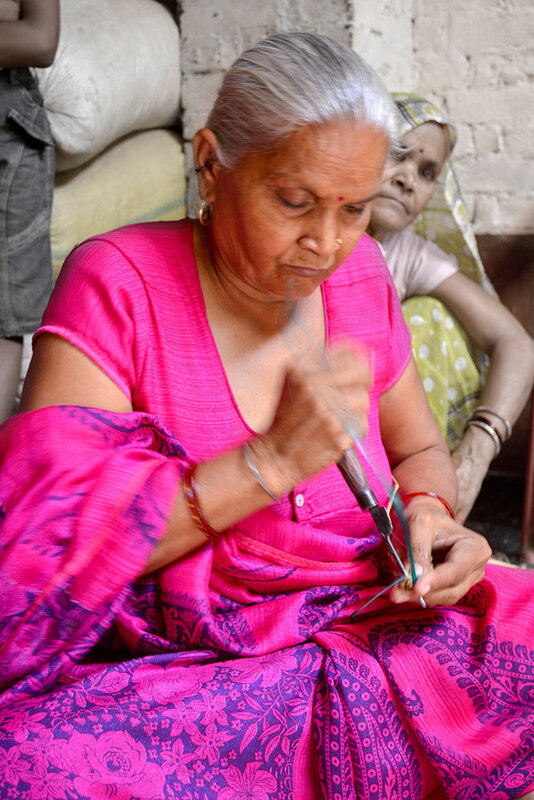 Other natural materials such as palm leaf, straw and coir are also used. 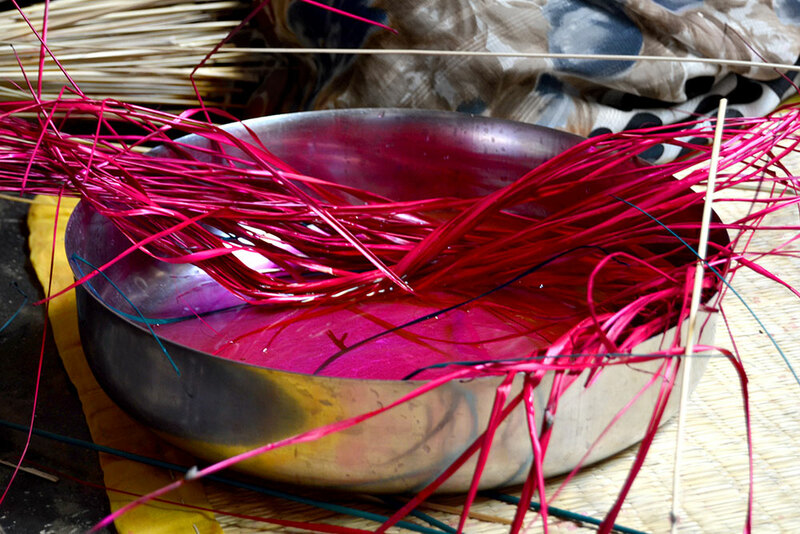 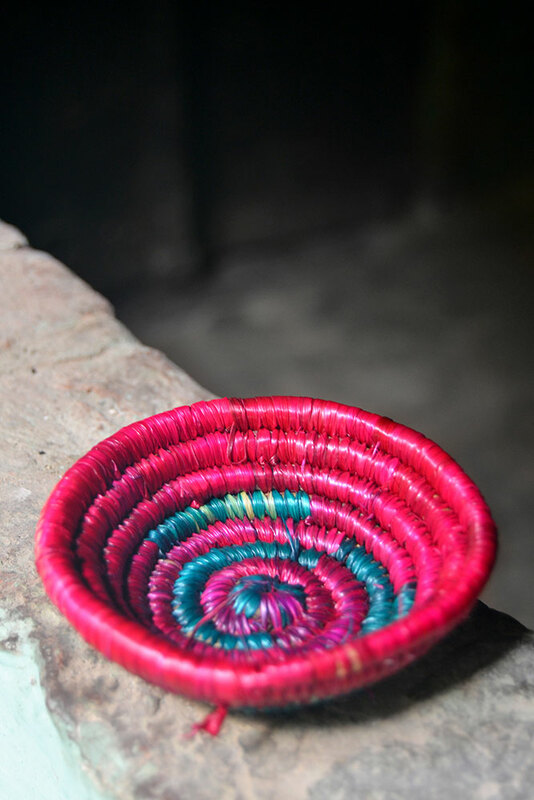 Moonja is boiled in different colors and left to dry in the sun for a few days before it is used to construct a basket. 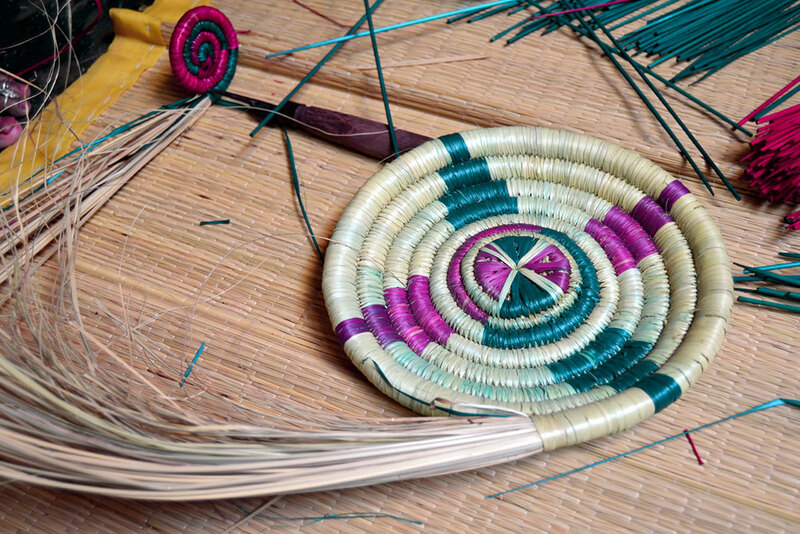 Any basket begins with a base. 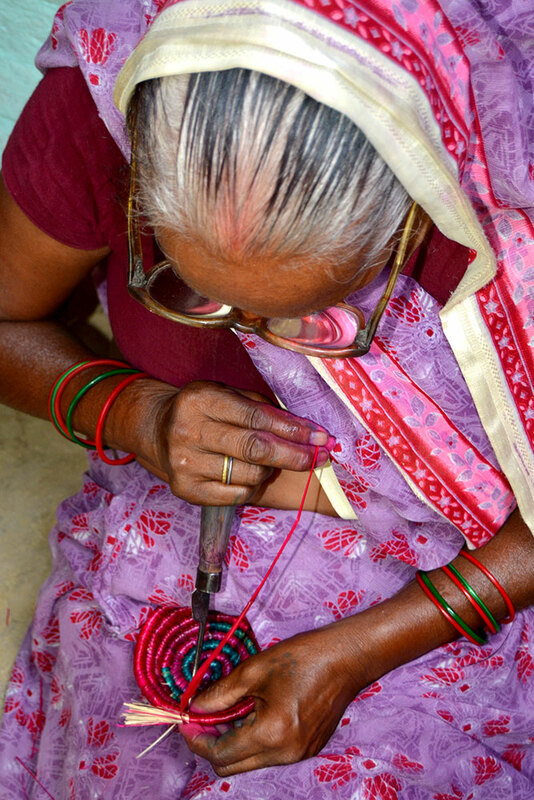 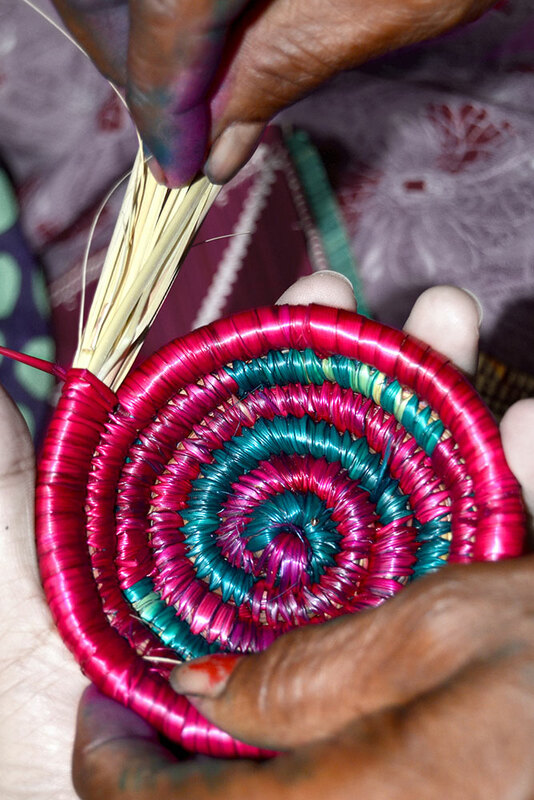 This is made by holding many strands of moonja together and coiling (wrapping) them with one single strand. 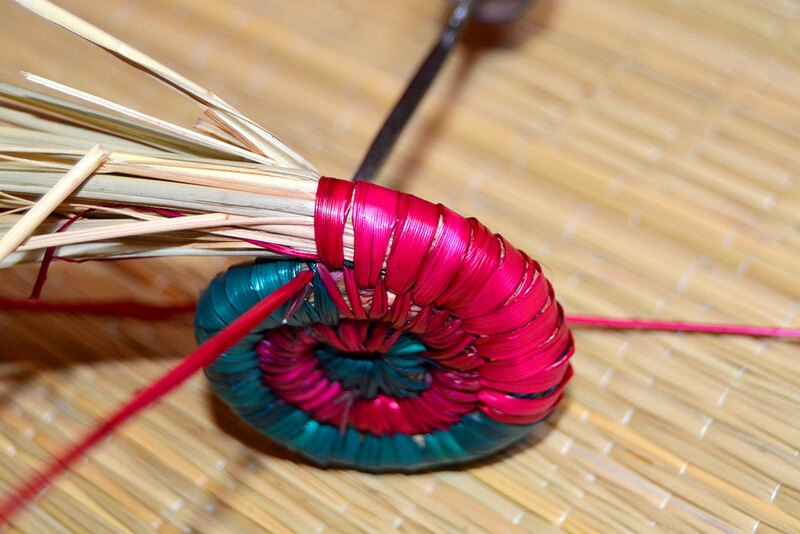 The basket starts to grow spirally, resulting in its side-walls. 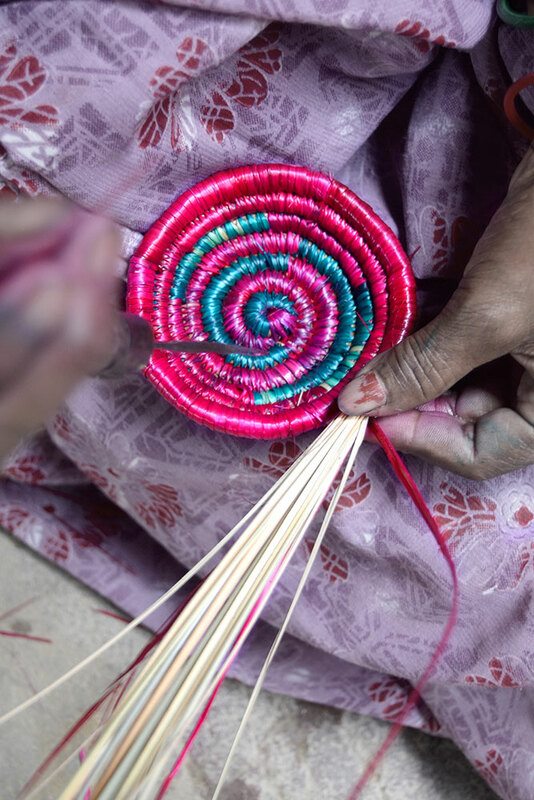 Popular motifs woven in baskets include trees, birds, animals, flowers, spirals and geometrical shapes - each one being unique, imaginative and exquisite. 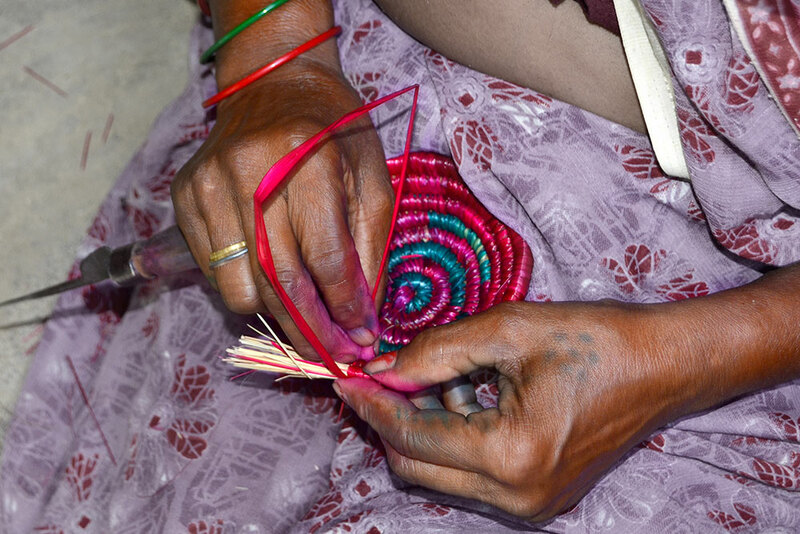 Women soak the moonja in water from time to time, making it softer and more pliable to work with. 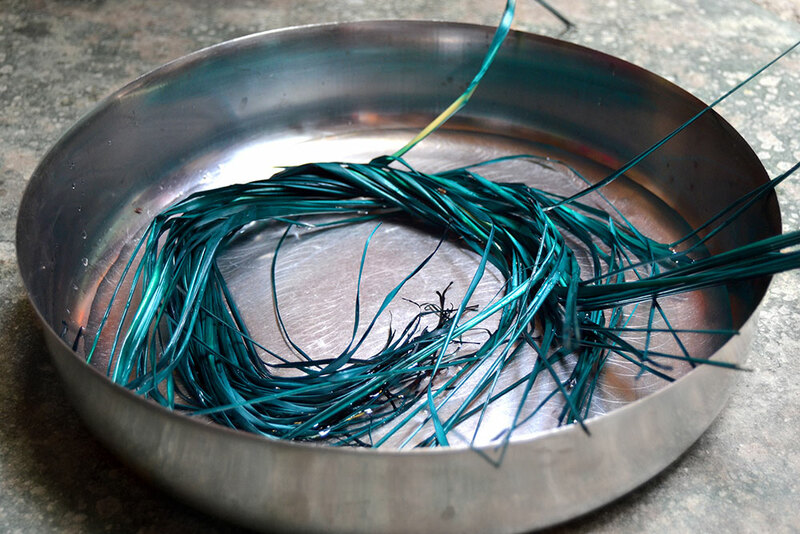 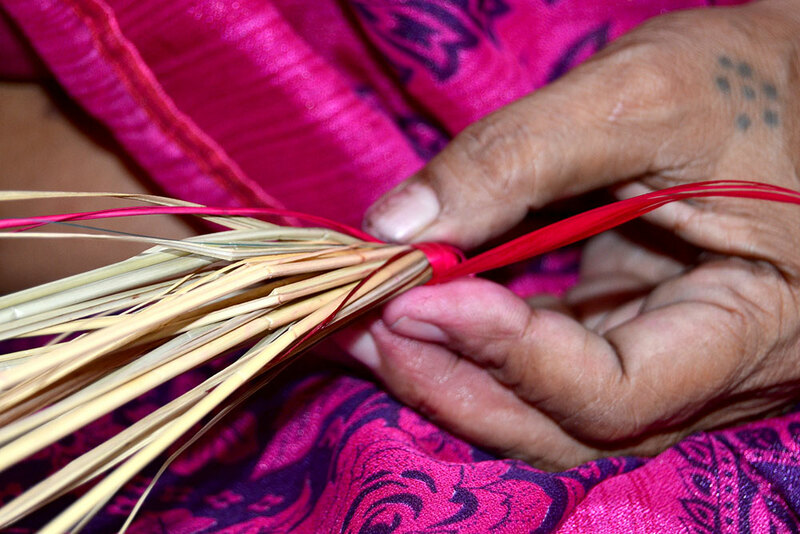 A sharp needle-like tool is used to make holes in the bunch of strands to make the coiling process much faster. 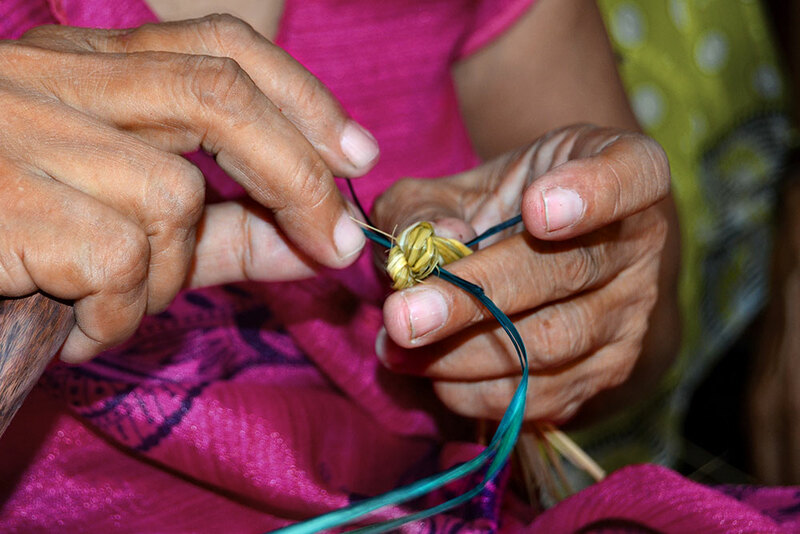 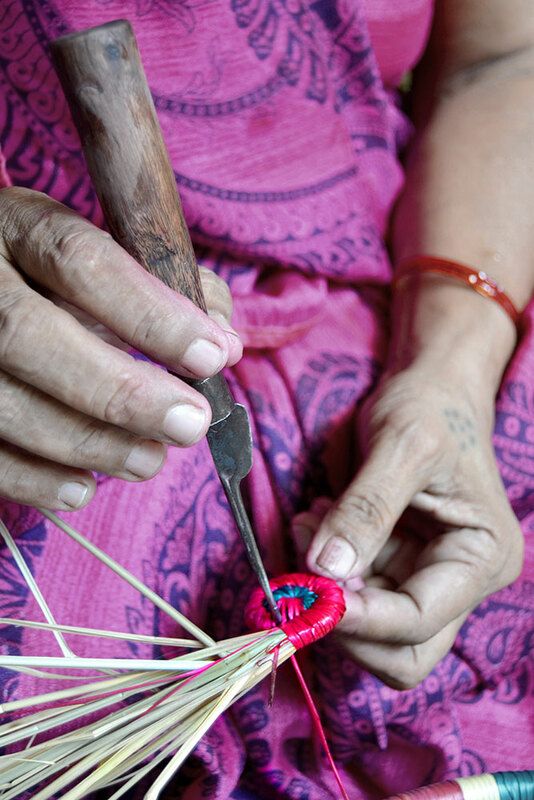 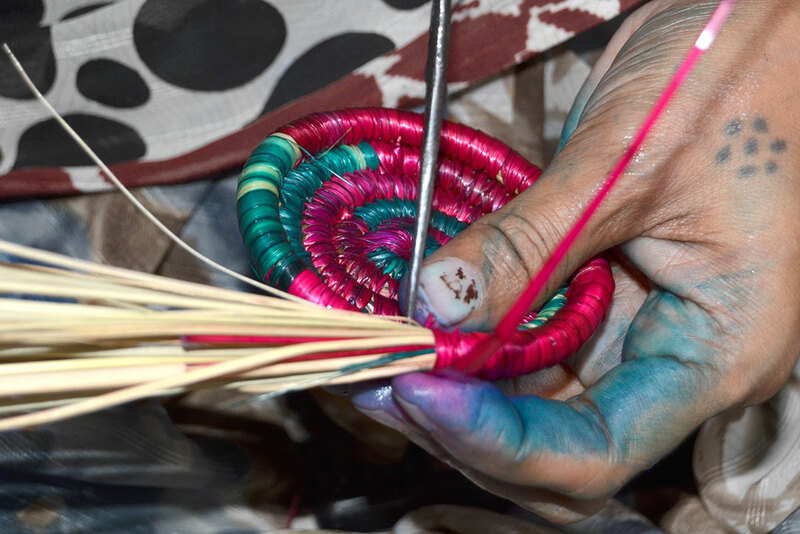 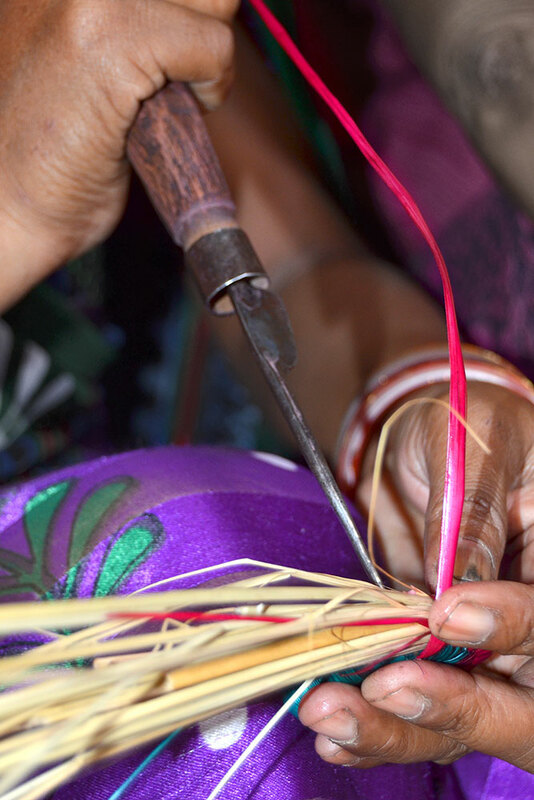 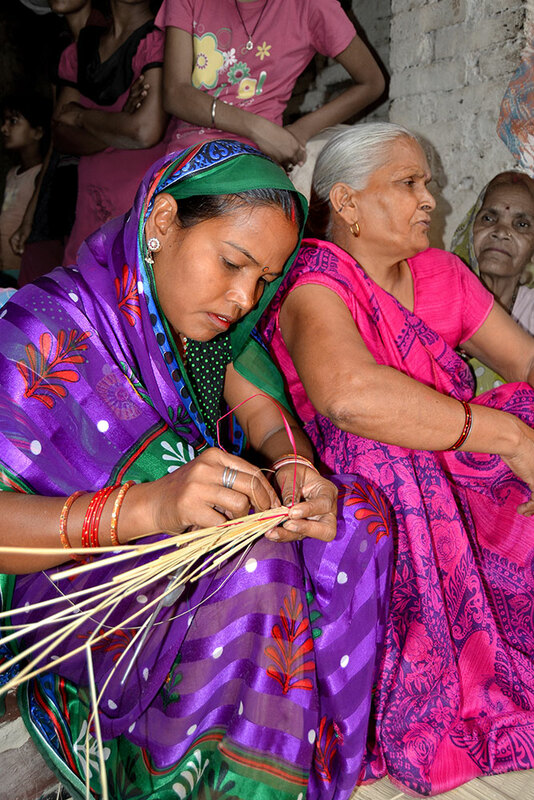 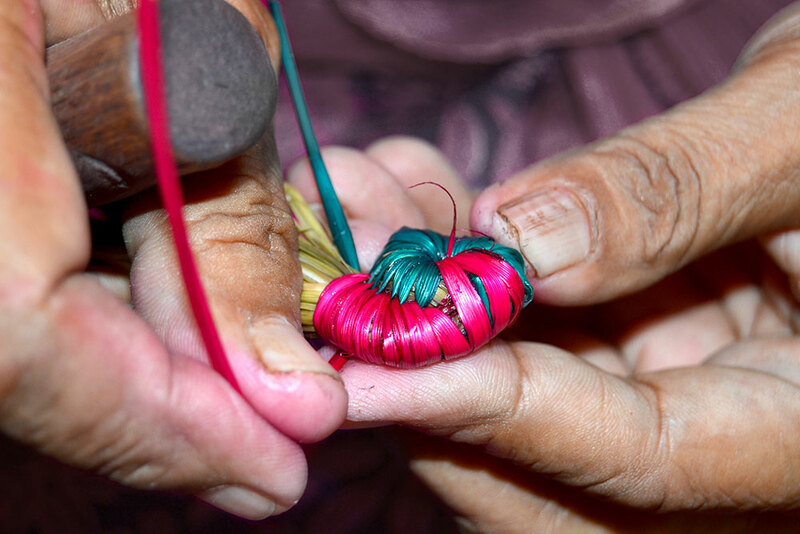 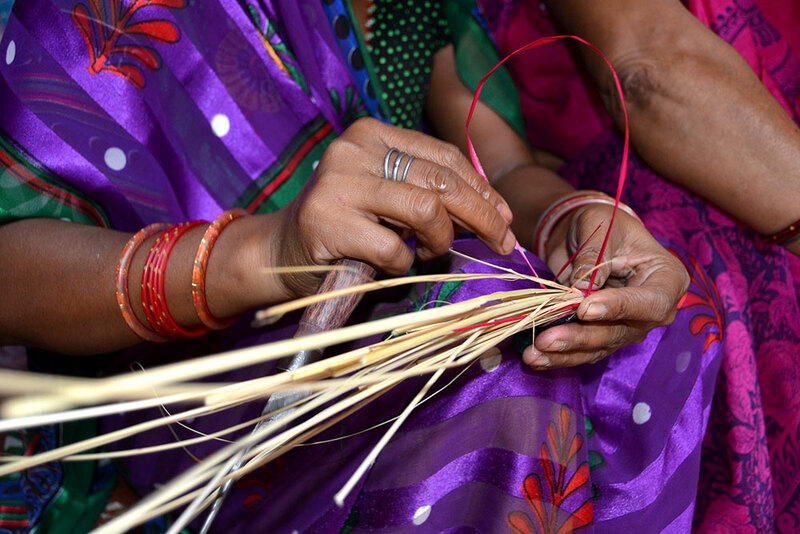 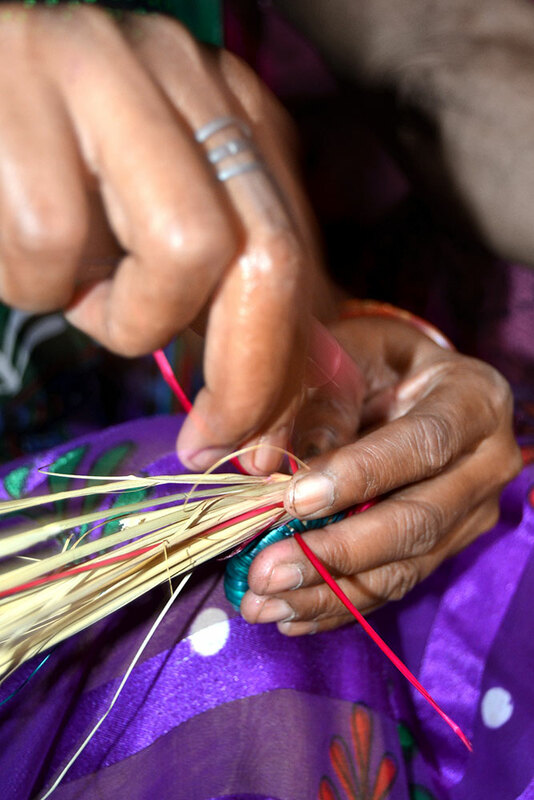 Once the walls are raised, the rim of the basket is created by using contrast-colored strands more elaborately. 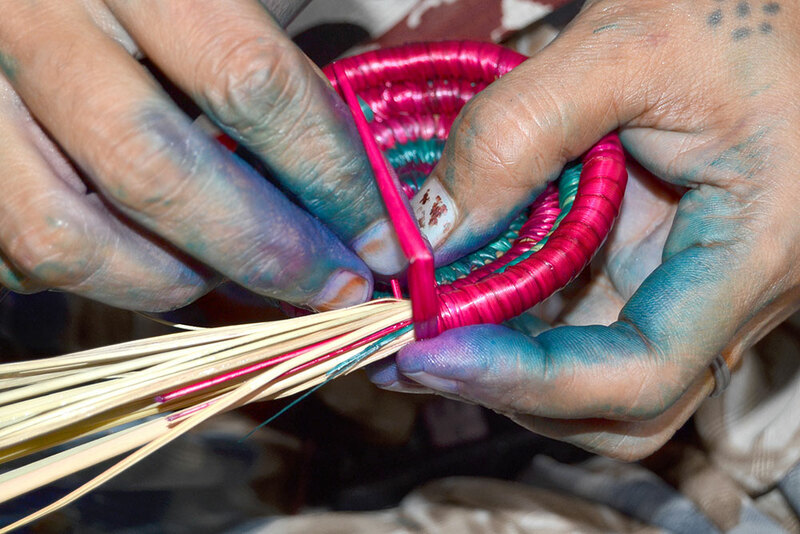 Typically, a basket has two, three or four colors. 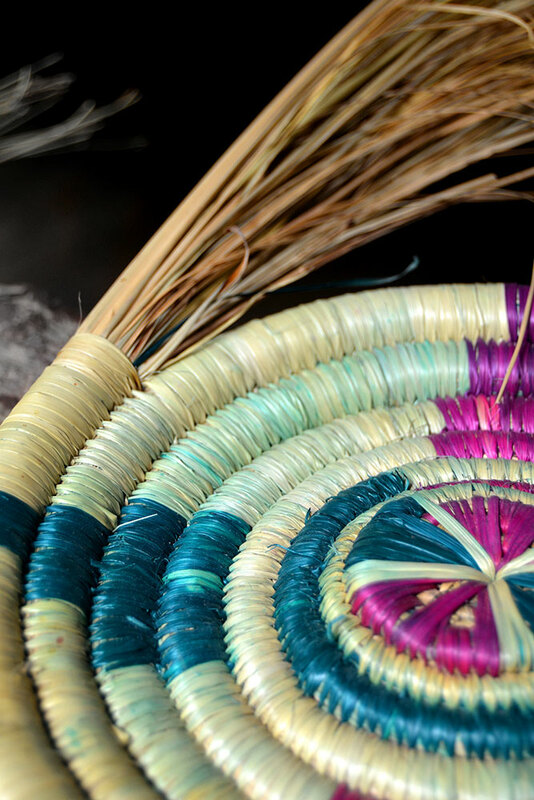 A basket may also have a lid, handleand/or embellishments.